New York Transmission Group is the largest distributor of remanufactured transmissions and transfer cases in the NYC Metropolitan area. We Carry all makes and models both foreign or domestic. Our customers include service stations, numerous school bus fleets, new and used car dealerships, delivery fleets, government agencies and more. 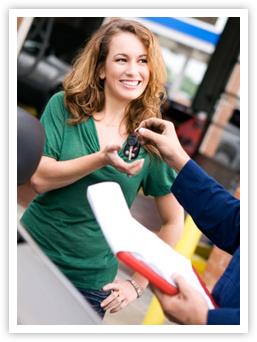 The NY Transmission Group family is made up of highly trained experts and master technicians. We have two company-owned installation locations to provide diagnostic and installation services. We can get you back on the road worry-free, in just hours, instead of days. However, we also have the capability to ship your remanufactured transmission or transfer case anywhere in the USA. In Addition to providing remanufactured products, we can repair any transmission problem for your car, truck or boat, foreign or domestic. With a near century of proud experience, NY Transmission Group maintains a reputation for being the best of the best in the automotive and transmission service industry. With over 2000 Transmissions in stock, same day delivery, and several installation centers in the tri-state area, NYTG is ready to help you get the job done at the right price! "Reman" is short for "Remanufactured Transmission" All of our Remans come directly from Certified Transmission, one of the most trusted transmission remanufacturers in the country. Copyright © 2012, New York Transmission Group, All Rights Reserved. Website designed by Generations Beyond.